ca. 520 - 500 B.C. 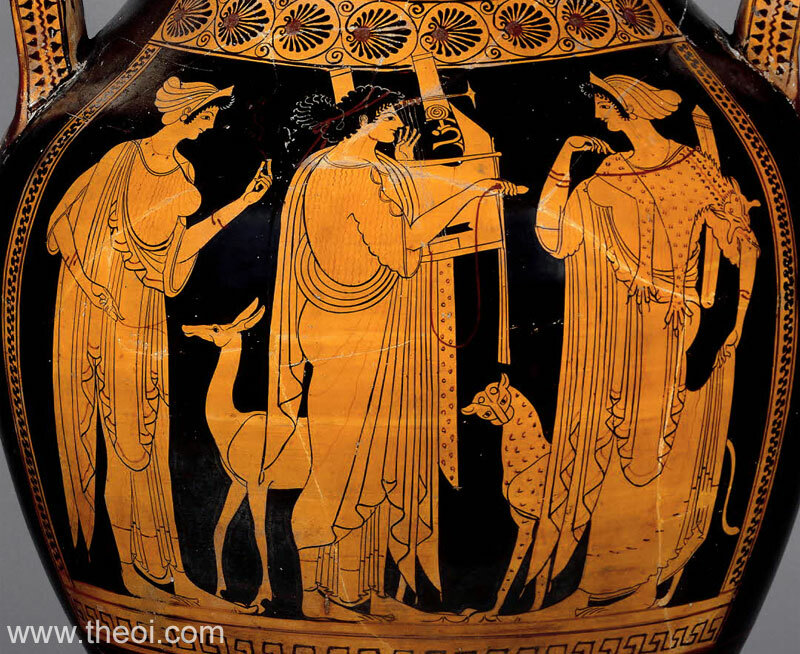 Apollo is accompanied by his mother Leto and sister Artemis. Leto wears a head-scarf (sakkos) and raises her hand in a pinching gesture. Apollo is a long-haired youth who stands playing a lyre. Artemis, facing him, wears a head-scarf and a quiver on her back. A deer and a panther stand at the feet of the gods. Detail of the god Apollo.